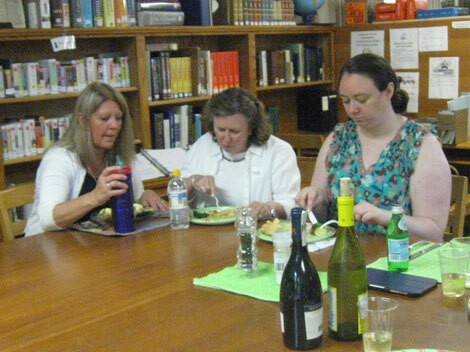 Cookbook lovers, a new Walpolean and at least one person who confesses to not liking to cook took part in the first Cookbook Challenge at the Bridge Memorial Library on June 28. Nine participants tasted dishes made with artichokes, arugula, avocados, Brussel sprouts, leeks, radishes, Yukon gold potatoes and lots of the traditional summer vegetables. It works like this. The librarian chooses the cookbook. It’s usually not one just hot off the press because Rogers has to garner eight cookbooks to share and most libraries wouldn’t be willing to give up a brand new edition. 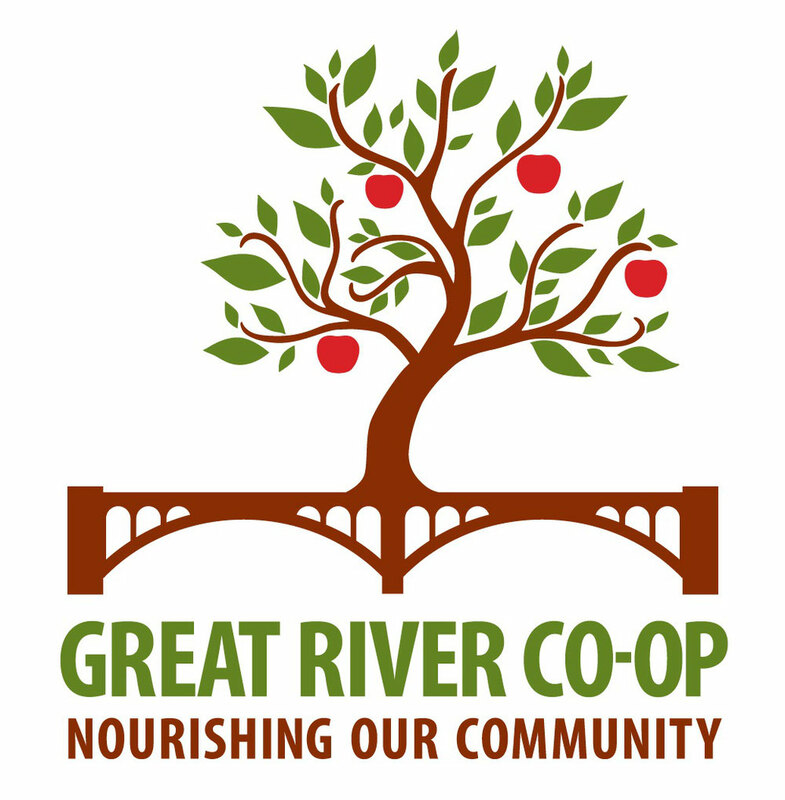 The library gets the eight cookbooks through Library Loan program. Interested library members borrow the book for a few days and decide on a recipe they’d like to make and sign up for the Challenge. Then they share their dish with others who have signed up on the last Tuesday of the month. Jean Kobeski chose her recipe because she loves Brussel sprouts. Kobeski, a former teacher, says “she loves to cook.” She incorporates cooking into many of her lessons. And this year, she volunteered in the Walpole Primary School, helping those youngsters with a cooking project. Lil DeCoste chose Tian of Squash, Zucchini, Tomato, and Basil because it was easy. She’s the non cook (although you’d never know it by tasting her dish) and was there to meet new people. Tian refers to the shallow type of earthenware dish in which the vegetables are baked. Diane Golding figured arugula would be at its peak in her garden at the end of June so she signed up to make Wilted Arugula with Raisins and Capers. The first Cookbook Challenge was “The Broad Fork” written by Hugh Acheson. It was published last spring by Clarkson Potter/Publishers. It’s basically a vegetarian cookbook with a Southern bent that’s arranged according to the four growing seasons. There are meat and fish dishes but it’s the vegetables that star in the recipes. Next month’s Challenge is a Ruth Reichl’s cookbook, “The Kitchen Year.” Ruth Reichl (pronounced RYE-shil) is a chef, food writer, co-producer of PBS’s “Gourmet’s Diary of a Foodie,” culinary editor for the Modern Library, host of PBS’s “Gourmet Adventures with Ruth” and the last editor-in-chief of the now shuttered Gourmet magazine. In a large, wide-bottomed pot, combine 2 tablespoons of water with the butter and a few pinches of fine sea salt. Place the pot over medium-high heat, and add the lemon zest and juice. Whisk it all together; the butter will melt and emulsify into the water. Remove the pan from the heat and add the arugula. Quickly stir it in and gently wilt it. The idea is to cook it but not destroy it; if you need more heat, return the pot to medium-low and stir the greens until they are tender. Transfer the wilted arugula to a serving platter and top with the raisins and capers. Serves 4 as a side. Cut the eggplant into 1/2 inch cubes and place them in a large bowl. Cover with cold water, add the ascorbic acid, and stir well. Let it sit for 10 minutes. Then drain the eggplant and pat it dry with paper towels to blot up as much of the water as possible. Find the largest sauté pan in your arsenal and place it over medium-high heat. Add 4 tablespoons of the olive oil, and when the oil is shimmery hot, fry the eggplant, in batches, being wary of overcrowding the pan. Cook for about 2 minutes a side, until the eggplant is golden and just about cooked through. As the batch finishes, use a slotted spoon to transfer the eggplant to a plate lined with paper towels. When all the eggplant is cooked, discard the oil that you just worked with and clean out the pan because we’ll be using it later. In a mixing bowl, toss the sliced squash and zucchini with 1 tablespoon of the olive oil and fine sea salt to taste. Place them on a large baking sheet and roast in the hot oven for 5 minutes, until just tender. Remove from the oven and set aside, still on the baking sheet, too cool. Take the cleaned sauté pan and place it over medium-high heat. Add the remaining 3 tablespoons of olive oil, and when the oil is hot, add the peppers to the pan. Cook for 10 minutes or until tender. Then add the garlic and cook for 2 minutes, until aromatic. Add the eggplant, squash, and zucchini. Lower the heat to medium and simmer for 5 minutes to bring the flavors together. Cut the tomatoes in half and grate them into a bowl using a box grater. Discard the tomato skins. Pour the grated tomato into the pan of vegetables and simmer for 5 minutes. Then add the chopped pickled green tomatoes and fine sea salt to taste. Stir to combine, and finish with the torn basil leaves and black pepper to taste. Serve warm or at room temperature. Serves 6 to 8 as a side or a light entrée with some bread and wine. Place the eggs in a small pot and cover with cold water. Bring to a boil over high heat, add 1/2 teaspoon of kosher salt and the vinegar, and then reduce the heat to medium-low. Simmer for 1 minute. Remove the pot from the heat, cover it, and let the eggs sit in the hot water for 12 minutes. Then run the eggs under cold water, peel, and reserve. Warm a medium skillet over medium-high heat, and then add the oil. When the oil is hot, add the Brussels sprouts and cook for 3 minutes, or until they take on a nice caramelize color, a hue that looks yummy. Stir the sprouts around and season with kosher salt to taste. Remove from the heat and set aside. Toast the bread, and butter each slice. Place a dollop of remoulade on each plate, just off-center. Slice the boiled eggs in an egg slicer. Place a piece of toast on each plate, somewhat covering the remoulade, and arrange the egg slices on the toast. Place another dollop of remoulade over the eggs, and pile on the Brussels sprouts. Eat. Serves 2. Combine all the ingredients in a small bowl and stir well. It keeps, refrigerated, for 5 days. Makes 3/4 cup. In a small bowl, combine the anchovies, garlic, parsley, thyme, the 1/4 cup of olive oil, kosher salt and black pepper to your liking. Mix well and set aside. Slice the squash and zucchini into 1/4 inch thick rounds, discarding the ends. Set aside. Slice the tomatoes into 1/4 inch thick slices and lay them flat on a cutting board. Sprinkle some kosher salt over the tomatoes and let them sit for 5 minutes then take a piece of paper towel and dab the moisture off the tomatoes. Lightly oil a shallow sided 7 or 8 inch round earthenware or ceramic baking dish with the remaining 1 teaspoon olive oil. Arrange one layer of tomatoes in the dish, starting in the center and working outward in circles. Repeat the process with the zucchini, and then the squash, seasoning each layer with a little salt. When the vegetables are all arranged, tuck the basil in, one leaf at a time. Spoon the olive oil mixture over the vegetables. Bake in the oven for 30 minutes, or until vegetables are tender. Remove the dish from the oven and set the oven to broil. Scatter the breadcrumbs on top of the Tian and broil for 4 minutes, until the breadcrumbs have browned nicely. Remove from the oven and serve hot or at room temperature.